This past week my brother Ryan asked me to take a headshot for his school ID. Headshot photography isn’t my forte, mainly because of limited experience, but for family and friends I’ll always happily make an attempt. Going into the mini shoot, using a picture of my brother for this week’s picture was never my intention. 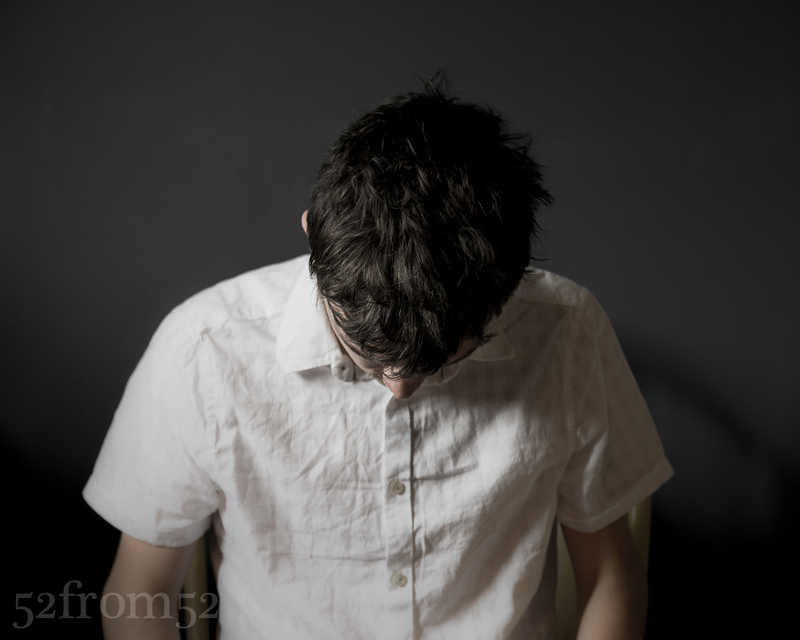 In fact this week’s picture was more of a test shot taken while Ryan was fixing his shirt. After I loaded everything into Lightroom for editing this picture just jumped out at me. The texture of Ryan’s hair and shirt, along with the contrast between his white shirt and dark hair is what caught my eye. After getting Ryan’s approval I decided this would be the perfect feature for this week’s picture. The natural texture and contrast of the original picture was what caught my eye, but focused editing to enhance the two attributes is what brought both to the reality of my imagination. The first step was to add to the naturally toned contrast in the picture by changing the background from blue to grey. 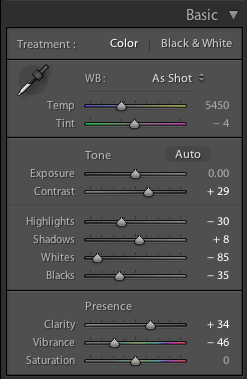 In Lightroom uniformed color changes are a breeze, you simply select the color and change the hue or saturation level. The only limiting factor is the colors you can shift to. For example, the original blue background could have only been changed to something close to the blue spectrum (e.g. shades of blue or purple), or grey. Luckily grey was the color I wanted, and grey was within the range I could shift to. I turned the background grey by dropping both the blue and aqua colors saturation and luminance to zero, as seen below. The second round of editing focused on the texture of my picture. My brother’s hair had a lot of natural texture, but increasing the clarity and contrast brought it out even more. Next I enhanced his shirt’s texture by dropping the highlights and white tones to reveal all of the wrinkles. 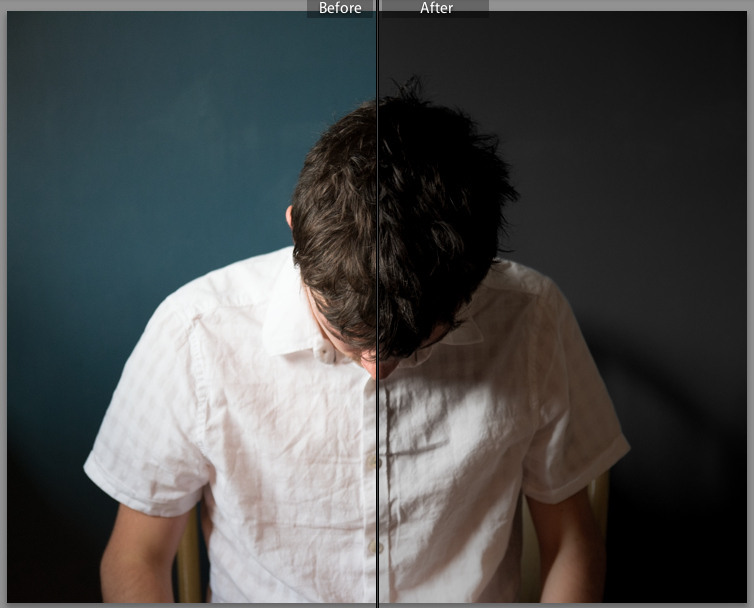 I did both of these focused edits at the full picture level (seen below) and at a more focused level using circular radial gradual filters on his head and shirt.